During his exile and subsequent three-year incarceration, he wrote his first stories and, through an intermediary, placed a number of them in magazines under various pen names, particularly as “O. Henry.” During the decade after he was released from prison in 1901, until his death in 1910, the newly reformed O. Henry wrote between three hundred and five hundred stories—a count that varies depending on which of his works are considered “stories.” In an ironic denouement that surely would have astounded the author (who hid knowledge of his conviction from his readers until the day he died), the Austin courthouse in which he was convicted is now O. Henry Hall, which houses the administrative offices of the University of Texas system. One of O. Henry’s most enduringly popular stories featuring this brand of “humorous” character is “The Ransom of Red Chief,” which appeared shortly after his death (in the collection Whirligigs) and has ever since been an inspiration for countless plays, movies, and adaptations for both adults and children. 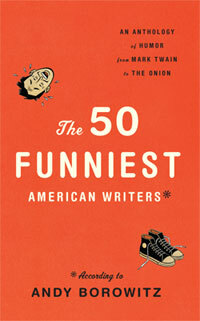 It was selected by comedian Andy Borowitz for the newest Library of America collection, The 50 Funniest Writers: An Anthology of Humor from Mark Twain to the Onion. It looked like a good thing: but wait till I tell you. We were down South, in Alabama—Bill Driscoll and myself—when this kidnapping idea struck us. . . . If you don't see the full story below, click here (PDF) or click here (Google Docs) to read it—free! I laughed so hard I could hardly read it due to my eyes watering. I read this story as a child-I just read it again for the first time. What a wonderfully funny story. O'henry was a very talented and imaginative writer. Ransom of red chief had to have been one of his best. This a wonderful story to read to children. We recently had to rewrite this story from Red Chief's point of vew. So fun.